Who doesn’t wish to share onscreen space with their BFF’s in this industry? 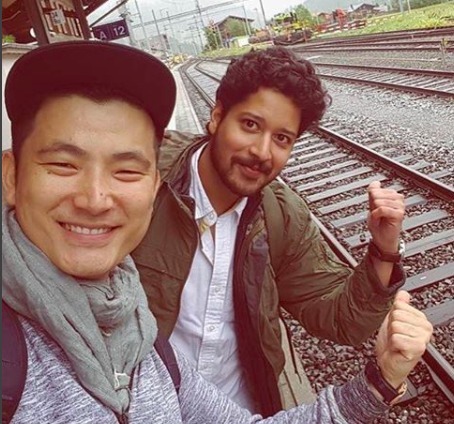 While there have been many friendship tales brewing amongst stars in B’town, we have a strong bond shared between none other than the sensational Rajat Barmecha and popular actor Meiyang Chang. The two actors who have known each other for quite some time now, haven’t got the chance to work together till date. Now, after so many years of off-screen friendship, the two will be seen sharing the stage for Viu’s upcoming series - Love, Lust and Confusion. Having known each other for over a decade, Rajat and Chang are a complete riot on the sets of the series. They always wanted to take work on a project together, but never found the right opportunity to do so. And now when they have it coming their way, it looks like destiny granted their their wish with a twist. It turns out that the dynamic duo will feature in only one scene together in the entire series! Well, that's fate! But the two seemed to have enjoyed even that little amount of time on the sets to the maximum.